Meet beautiful Ukraine brides through our singles tour and other matchmaking services. It’s a fact that Ukrainian women are some of the world’s most sought after brides. Not only are they physically attractive, they also possess great intelligence and strong personalities. Through their traditional upbringing, these beautiful women have been taught from a young age to be independent and caring. These moral values and teachings have shaped the women in Ukraine to become the loving, caring, and intelligent individuals they are today. Within its borders, marriage in Ukraine is traditional and sacred in the eyes of its people. Ukrainian weddings revolve around symbolisms, which they regard with the highest of respect. Since Ukraine women grew up in an environment filled with religious and traditional values, they have learned to take their commitment towards relationships and marriage seriously. They do their best to avoid rushing into anything serious and life-changing until they are absolutely sure of their decisions. All Ukraine women seeking marriage truly wish to marry a man that they love unconditionally, and who can love them equally in return. In terms of maintaining relationships, Ukrainian women are some of the most loyal and dedicated partners you can have. They are extremely caring for those they love and would selflessly sacrifice their own happiness for their families, friends, and partners. You can expect a Ukraine bride to continuously give her undying support and love towards her husband and children. Such is a typical Ukraine woman; strong, independent, and a fiercely passionate fighter of what she believes in. Ukrainian citizens are naturally genuine and caring people. Their notable ability to easily express their emotions is what makes them lovable companions; although there may be a few customs that differ from those in Westernized countries, such as the United States. Even so, it’s still ideal to learn more about the marriage culture of Ukraine, and why single Ukraine women make incredible lovers, wives, and mothers. You’ll surely want to learn more about how to meet women in Ukraine after learning about the attractive qualities that these women possess. 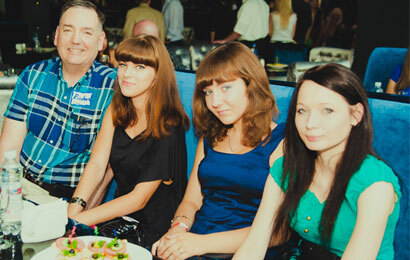 Tour clients have the opportunity to meet beautiful women through our Ukraine marriage agency. Ukraine is a highly traditional country. Its history may include unpleasant episodes in its past, but its people are what makes this nation strong. Through a war-stricken history, its citizens have developed immense pride for their heritage and intelligence, which stems from their experience in dealing with tragedies. This speaks volumes with how Ukraine women are today. They are naturally loving and caring as partners, wives, or mothers. Their past has taught them how to take care of others and to stay strong as individuals. When deciding to marry a Ukrainian woman, you need to keep in mind that the religious authority in the country highly discourages divorce. When a partner opts to end a marriage within Ukraine and with its women, it is deemed as a big offense and an issue that won’t be taken lightly. Since these ladies give a tremendous amount of effort in maintaining their relationships and marriage, it is only fair that their partners deliver their end of the bargain as well. Effort from both the man and woman can keep the love stable and ongoing. This is one of the best qualities that Ukrainian singles have. They choose to fight for their loved ones rather than choosing to cut ties. Historically, marriages were only approved with parental consent wherein the woman’s romantic partner would seek out her family’s blessing for her hand. Although these customs have changed in modern times, some of Ukraine’s traditions are still wholeheartedly practiced among families. In terms of a couple becoming as one through matrimony, both families should be happy and must come to terms for a happy married life. For foreign men such as yourself, to marry a woman from Ukraine takes tremendous effort and dedication. Your efforts should be genuine to prove to her family that you are responsible enough to receive the family’s blessing. If you want to find a wife in Ukraine, our best Ukraine marriage agency and matchmakers is the best option for you. Once you are absolutely sure with your decision in pursuing the woman of your dreams, grab the opportunity to fly over and meet her through our Ukraine singles tours, which we hold multiple times a year. Through our tours, you will not only get to experience the historically rich country of Ukraine, you will also get the chance to actually meet our hundreds of single Ukrainian women. If you’re worried about the legal processes, rest assured that you are in good hands with our services and staff. Our experienced organizers and matchmakers are ready to provide you with everything that you need. Should you decide to marry a Ukraine woman, bear in mind that you must acquire the K-3 visa, which is a non-immigrant type of visa for spouses of US citizens. When it comes to legal documents and processes, our Ukraine singles have to get their fiancee visa before they can enter the US or Europe. Alternatively, you also have the option to apply for a K-1 visa prior to your wedding. This way, you have the time to fly your soon-to-be-bride to your home country and marry her within the next 90 days. Meet and date single women in Ukraine, who are looking for serious relationships and marriage with foreign men like you today. Registration is absolutely free! You have many options for searching for that one special woman in your life. We pride ourselves on being the best Ukraine marriage agency and matchmaking services within the industry today. Signing up is free and requires only a few minutes of your time. After completing your registration, you can immediately start browsing through hundreds of women's profiles and message them personally. Not only that, you get many other benefits as well!. We offer many tours to Ukraine every year. And have for 23 years. Our esteemed services allows foreign men to travel to Ukraine and meet single beautiful women who are seeking genuine relationships and marriage. All accommodations are provided by us along with the tours and socials where you actually meet real Ukrainian women. Browse through our tour schedule and sign up today. Registration is free and simple with no hidden charges and fees. This program is the sole property of Ukraine Singles and may not be copied in any way or form without express permission.